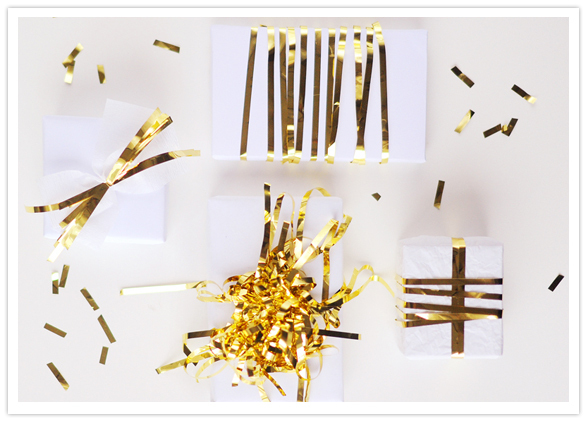 Tie thin nylon string around a wrapped gift, layer crepe streamer pieces and gold strips on top, then tie together centered with nylon string, so the crepe and gold strips form a bow. 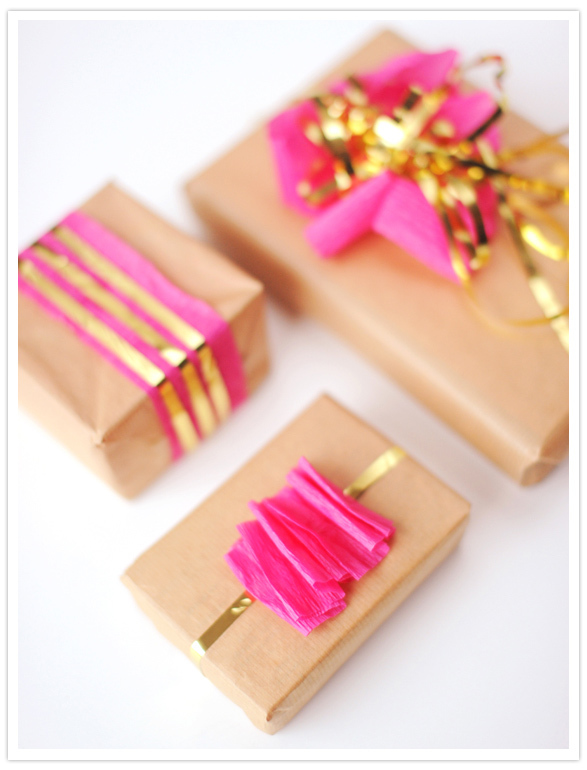 Simply grab a handful of either crepe paper and gold strips or only gold strips, wrinkle them up a little and layer onto a package, then tie around it with thin nylon string. 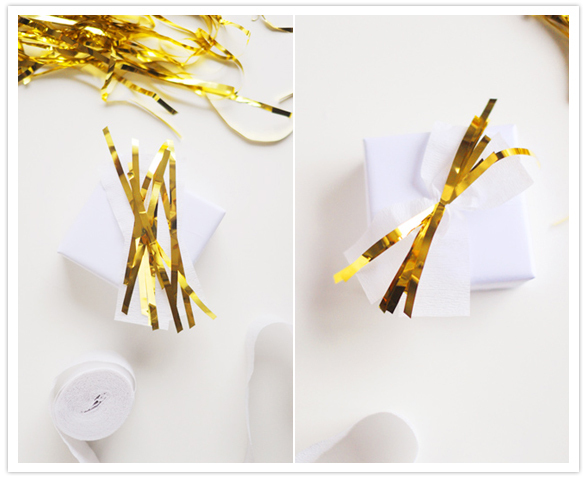 Make a pompom of crepe streamer (cut into strips as wide as the gold curtain strips) and gold strips and tie or glue onto a package.